Winter TNNA was good! Tiring, fun, all that. I left my house early Friday morning (5am) to meet Jeane De Coster (Elemental Affects) at her home in Desert Hot Springs. I tossed my stuff into her car, then we headed to Phoenix. The 4 hour drive went quickly — we talked nonstop the entire way. I’d not really been back to Phoenix since graduating high school. I’ve driven through it once or twice, but that’s about it. It was basically unrecognizable. Once we got to the convention center, we grabbed lunch at the food court (overpriced, but serviceable, and hey, at least there were options other than burgers & fries) then went into booth set up mode. We both knew if we didn’t eat…we wouldn’t. The convention center is apparently new; it was very nice, nicer than the one at Long Beach (though I much prefer being able to stay at home!). Jeane made up kits for my Peacock Mitts for Sample It (exhibitors can elect to sell a few items (samples of their wares) at wholesale prices to attendees). I’m so happy about how excited people were by them! 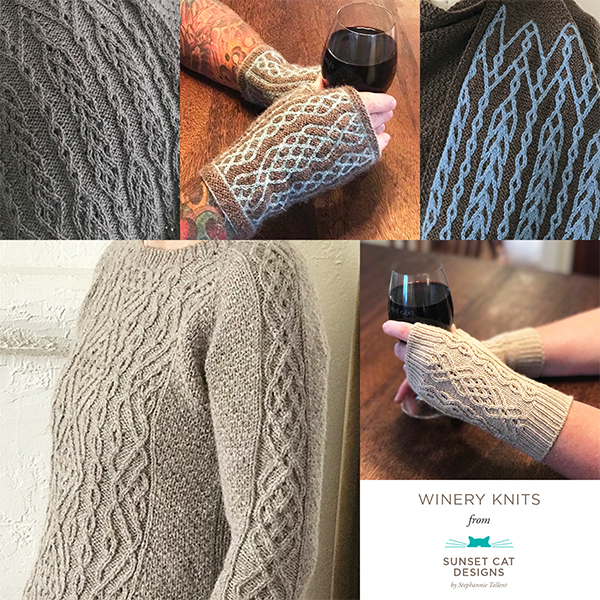 Jeane will continue doing kits, so if you’re wanting a kit, check with Jeane. I met up with Audrey (check out her upcoming book, Reversible Scarves, from Cooperative Press — it’s gorgeous!). That night, Jeane dropped me off at the airbnb I was staying at. If I had to live in Phoenix, I would want a house just like this! Kate, the home owner, is an absolute sweetheart — smart and funny and generous. Plus she shared her pets with me — I got lots of cuddles from her adorable dogs & kittehs. I finally got to meet Lindsey, who also stayed at the house; we had a nice walk to the Convention Center on Saturday. 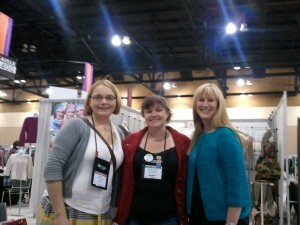 Over the weekend, I met Stacey from the Knit Picks IDP in person. She’s fantastic & very funny. 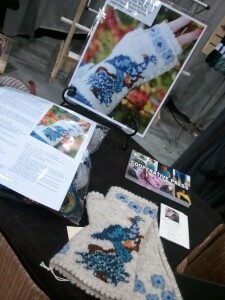 I was interviewed for the Knit Picks TNNA podcast. I also was able to hang out a bit with Michelle (Fickleknitter) and Holly. I met Johnny Vasquez from Fiberstory TV. Carl & Eileen & Marly Bird from Bijou Basin were there as well. I visited various booths, listed in no particular order: Imperial Ranch, Baah Yarn, Dream in Color, Lorna’s Laces, Shibui. I also met the people at Namaste — and proudly showed off my go-to bag, my red Namaste Monroe bag. I didn’t realize how local they were to me! They’re in the Los Angeles area. The Craftsy folks had a booth, too — it was great to meet them. I got a t-shirt, great for bumming around the house (working on my projects for the Craftsy BOM class, lol). I’m planning on (finally) going to the summer TNNA in Ohio — already looking forward to it!